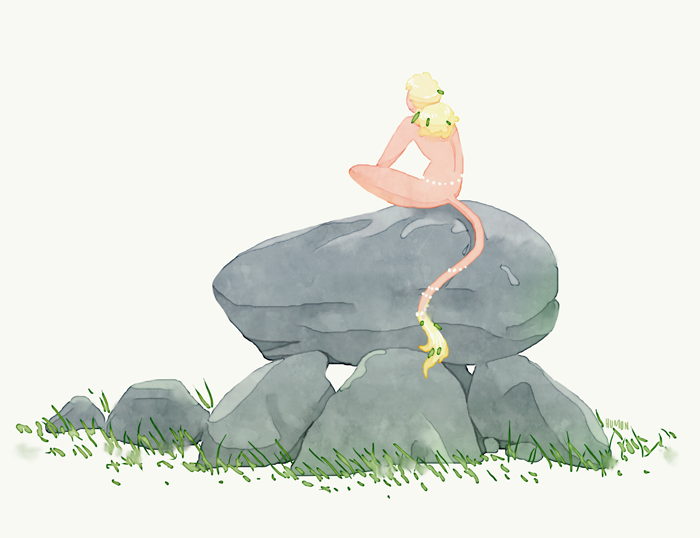 Troll resting on a stendysse (stone monuments/burial site). They can be found all over Northern Europe, but you'll find the biggest concentration in Denmark. Trolls, or stendysser, or trolls-on-stendysser? I miss the traveling troll from much eriler in the series. I guess this guy does too. Family? A lover? Someone the other guy owes money to? We may never know. Perhaps it's his way of mourning.